Adding Google Analytics code to a website becomes an important factor for a website. The reason, Analaytics code is planted on a website page, can analyze who and how your visitors come. Advertisers also usually ask for an analytics report on your website before they place an ad on your website. That way, they will decide whether your website is eligible to host an ad, or not. In addition to Google Analytics, many other third-party services have the ability to analyze website visitors in realtime. For example piwik, facebook pixel, and also histats that was also widely used by bloggers. 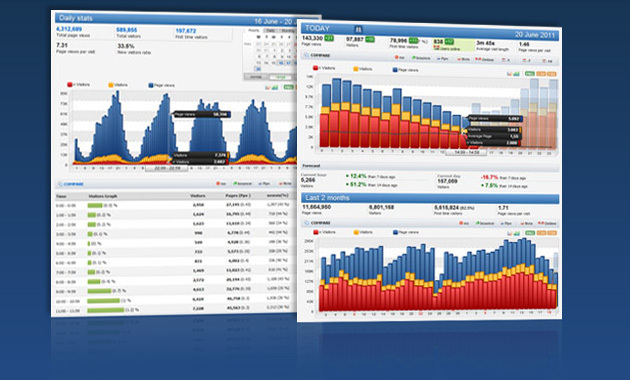 Histats.com features include collecting visitor data such as location, pages visited, referrals, online users, and others. But the uniqueness and advantages of this histats.com, you can add widgets on your website include page views, online users, and the number of visitors. So the widget can be placed and shown to the blog visitors. And of course it will be more interesting for advertisers. Adding the code is slightly different, and must use amp-pixel (built-in) to install code from histats to keep the blog valid AMP. The first step of course you should be listed on histats.com then register your website. Then, create a widget by clicking the counter code after registering your web. *Replace with pixel histats above with your web pixel counter address. When done, please save and try to refresh your website. It should be noted that Histast takes several hours to verify your website and collect the data of your website visitors.